The Mayor wants to tackle gender stereotyping early so no child is held back from reaching their full potential. Research shows we develop careers aspirations at a young age - some studies suggest it's as early as four years old. This means it's important that children have early and equal opportunities to develop their knowledge, skills and aspirations for the future. Many aspects of childhood are unequal. For example, science, technology, engineering and maths (STEM) toys are three times more likely to be advertised to boys than girls. Yet we know there is a skills shortage and underrepresentation of women in these sectors. The flip-side is the underrepresentation of men in caring professions, such as nursing or teaching. 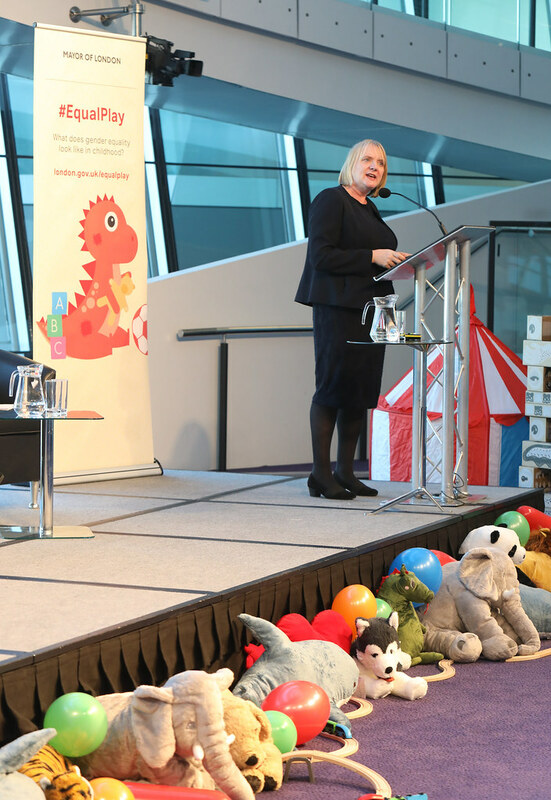 To explore what gender equality means in childhood, the Mayor convened an Equal Play Conference to bring together a range of sectors for the first time at City Hall. 150 representatives attended from the advertising, manufacturing, publishing and retail industries, as well as government, education, charities and parent groups. The event was opened by keynote speakers; Joanne McCartney AM (Deputy Mayor of London), Rosie Rios (43rd Treasurer of the United States), Sam Smethers (CEO - Fawcett Society), Emma Perkins (Senior Director - LEGO) and Guy Parker (CEO - Advertising Standards Authority). Scroll through the gallery below to learn more about the day. 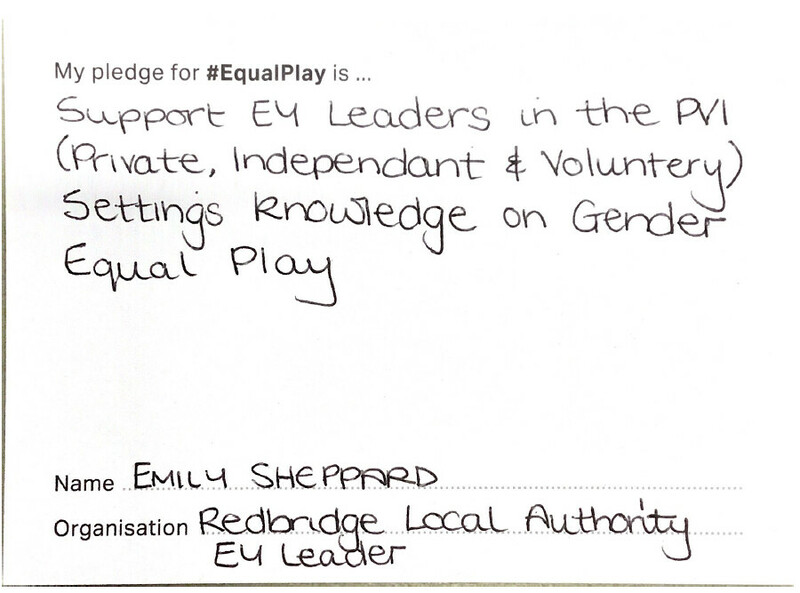 Use the hashtag #EqualPlay to showcase what you're doing to champion gender equality in childhood. Over 250 tweets have been posted since the Equal Play Conference. You can scroll through what attendees pledged below. To tackle gender stereotypes in schools, the Mayor is funding a new Gender Action award programme to be rolled out across the capital in 2019. Educators can pledge their commitment to gender equality and learn more by registering on the Gender Action website. To support Families to address gender stereotypes in childhood, the Mayor has partnered with the V&A Museum of Childhood to create the Equal Play Family Explorer Trail. Parents and carers can use the Trail to explore the Museum's fantastic collections and discuss how play can influence children's aspirations. We want to help families show children there's a whole world of exciting jobs out there which are open to both girls and boys. Printed booklets are available at the Museum - or you can download a PDF copy below. Explore the Mayor’s campaign to improve awareness of free early education for two-years-olds among eligible families. Supporting more young Londoners into exciting STEM careers through real-life science projects. Our work exploring gender and diversity in advertising in London.